This week's challenge topic for the 52 Week Snapshot Challenge (hosted by The Lazy Pit Bull), is WINTER. Well, living here in Massachusetts, the subject matter for photos this week was a no-brainer! Winter Storm Juno unloaded 34 inches of snow in our back yard. We even closed our office last Tuesday -- something we have only done a couple of times in the three decades we've been operating from our barn up on the main road. It's not stopping there: today we have dangerously low temperatures and howling wind, Monday there is expected to be another foot of white, fluffy stuff! is the black one, 2nd from left, with all the dog magnets on the tailgate. Note reflection of humongous snowbank in barn window. We love our 1850s farmhouse and barn! Ho-hum, I've seen it before... this is still "nothing" compared to the Blizzard of 1978. And when I say that, boy, do I sound OLD! I was a senior in high school when the '78 blizzard happened, and I always remember thinking "Some day, when I'm OLD, I'll be telling people about this." Well, here I am. Sigh. I took so many photos this week, and already posted many on social media, but here is my selection of faves from the Blizzard of 2015. This one makes me laugh every time! Cooper's head bobbing out of the snow, like a seal at the ocean! Good grief, Charlie Brown! Are you eating snow? Glad for the soft, fluffy snow... otherwise, they'd be able to just walk right over the fence. Wow! We got off easy here in New York City. The dogs like they're having a good ol' time running in it. Stay safe and warm! ha ha I guess you did get off easy! They did (and still are) having a blast. Except for poor ol' Hobie. He is not enjoying it at all. Poor ol' guy! Oh, I wondered when I'd find someone who actually got hit by the blizzard! It seems all the storms keep hitting just south of us! You are not alone, I also remember the blizzard of '78, though I was only a JR in high school...LOL. Yay! I had forgotten where you live, but I just looked (NH)! Yep, we got slammed. It's ok, it makes fun for the dogs and something to write and photograph for me. And shovel ha ha. Oh! you were a junior!!? hahaha Funny!!! I'm glad to have "company" in remembering '78! LOL!! Doesn't bother me too much, because I pay someone else to shovel, and I love driving my Subie in the snow. 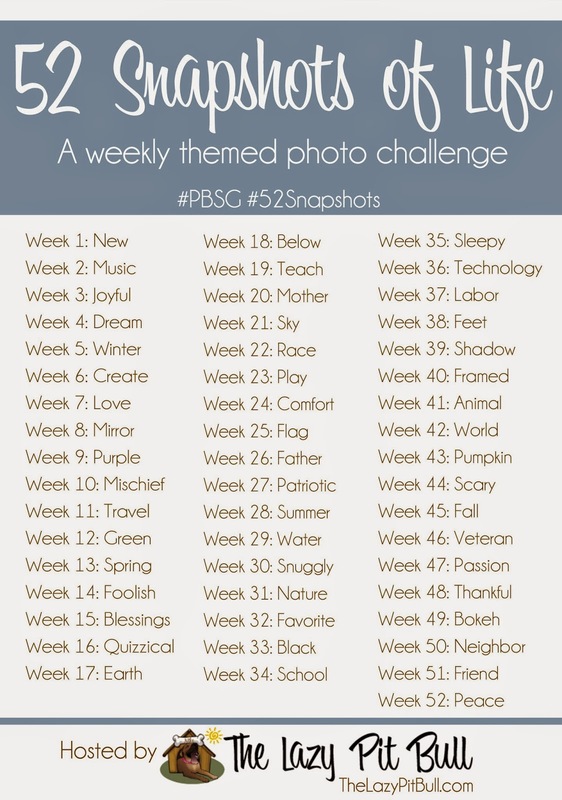 I am really enjoying the #52Snapshots challenge!!! I love when dogs look like groundhogs tunneling through the snow like that. :) I'm over in Vermont and we got some snow, but nothing like this that particular round. 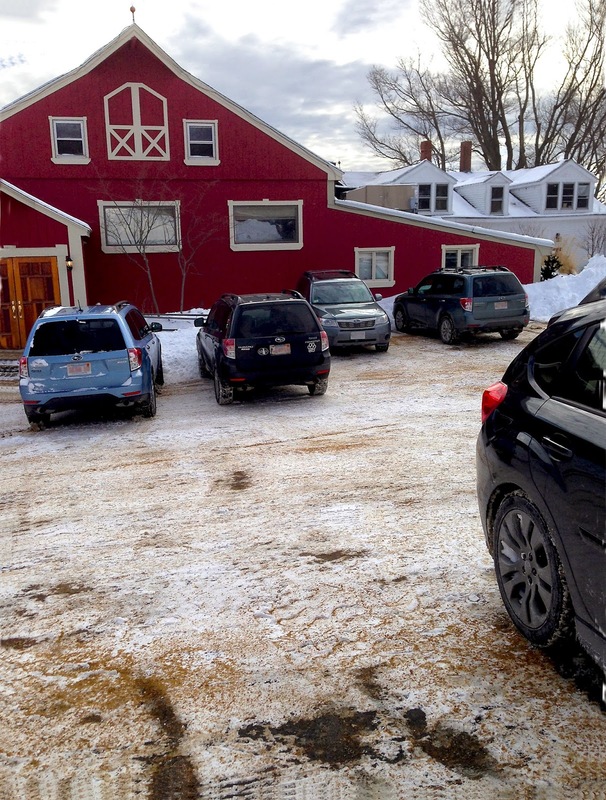 Know what else- looks like your office might be in a barn? If so, that's is awesome! Lots of businesses around here are like that too. They are cute and funny when they do that! Yes, good eyes! We converted the barn and farmhouse (circa 1859) into office space about 30 years ago. It's such an awesome atmosphere to work in -- makes it not feel like "work", although the old building has its issues and challenges... but we love it! Whoa! So YOU got the snow we were expecting. I hope it’ll melt before the 4th of July. Oh yay!! Someone else "of a certain age" !!! And yes, I love the picture of your dog catching the snowball !! Wow, did you get socked with the white stuff! And frigid cold after it? Brrrr.... Well, looks like it's not hampering the chance for fun, though. Enjoy! !